Henry Sidgwick (/ˈsɪdʒwɪk/; 31 May 1838 – 28 August 1900) was an English utilitarian philosopher and economist. He was one of the founders and first president of the Society for Psychical Research and a member of the Metaphysical Society and promoted the higher education of women. His work in economics has also had a lasting influence. He also founded Newnham College in 1875, a women-only constituent college of the University of Cambridge. It was the second Cambridge college to admit women after Girton College. The co-founder of the college was Millicent Garrett Fawcett. He joined the Cambridge Apostles intellectual secret society in 1856. He was born at Skipton in Yorkshire, where his father, the Reverend W. Sidgwick (d. 1841), was headmaster of the local grammar school, Ermysted's Grammar School. His mother was Mary Sidgwick, née Crofts (1807–1879). Henry himself was educated at Rugby (where his cousin, subsequently his brother-in-law, Edward White Benson, later Archbishop of Canterbury, was a master), and at Trinity College, Cambridge. While at Trinity, Sidgwick became a member of the Cambridge Apostles. In 1859, he was senior classic, 33rd wrangler, chancellor's medallist and Craven scholar. In the same year, he was elected to a fellowship at Trinity, and soon afterwards, he became a lecturer in classics there, a post he held for ten years. The Sidgwick Site, home to several of the university's arts and humanities faculties in the university, is named after him. In 1869, he exchanged his lectureship for one in moral philosophy, a subject to which he had been turning his attention. In the same year, deciding that he could no longer in good conscience declare himself a member of the Church of England, he resigned his fellowship. He retained his lectureship, and in 1881, he was elected an honorary fellow. In 1874 he published The Methods of Ethics (6th ed. 1901, containing emendations written just before his death), by common consent a major work, which made his reputation outside the university. John Rawls called it the "first truly academic work in moral theory, modern in both method and spirit." In 1875, he was appointed praelector on moral and political philosophy at Trinity, and in 1883 he was elected Knightbridge Professor of Philosophy. In 1885, the religious test having been removed, his college once more elected him to a fellowship on the foundation. Besides his lecturing and literary labours, Sidgwick took an active part in the business of the university and in many forms of social and philanthropic work. He was a member of the General Board of Studies from its foundation in 1882 to 1899; he was also a member of the Council of the Senate of the Indian Civil Service Board and the Local Examinations and Lectures Syndicate and chairman of the Special Board for Moral Science. He married Eleanor Mildred Sidgwick, who was a member of the Ladies Dining Society in Cambridge, with 11 other members. Bart Schultz's 2005 biography of Sidgwick sought to establish that Sidgwick was a lifelong homosexual, but it is unknown whether he ever consummated his inclinations. According to Schultz, Sidgwick struggled internally throughout his life with issues of hypocrisy and openness in connection with his own forbidden desires. He is buried in Terling All Saints Churchyard, Terling, Essex, with his wife. 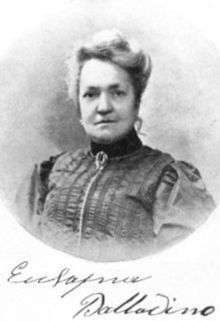 In July 1895, the medium Eusapia Palladino was invited to England to Frederic William Henry Myers's house in Cambridge for a series of investigations into her mediumship. According to reports by the investigators, Myers and Oliver Lodge, all the phenomena observed in the Cambridge sittings were the result of trickery. Her fraud was so clever, according to Myers, that it "must have needed long practice to bring it to its present level of skill." In the Cambridge sittings, the results proved disastrous for her mediumship. During the séances, Palladino was caught cheating to free herself from the physical controls of the experiments. Palladino was found liberating her hands by placing the hand of the controller on her left on top of the hand of the controller on her right. Instead of maintaining any contact with her, the observers on either side were found to be holding each other's hands, which made it possible for her to perform tricks. Richard Hodgson had observed Palladino free a hand to move objects and use her feet to kick pieces of furniture in the room. Because of the discovery of fraud, the British SPR investigators such as Sidgwick and Frank Podmore considered Palladino's mediumship to be permanently discredited and because of her fraud she was banned from any further experiments with the SPR in Britain. In the British Medical Journal on 9 November 1895 an article was published titled Exit Eusapia!. The article questioned the scientific legitimacy of the SPR for investigating Palladino a medium who had a reputation of being a fraud and imposture. Part of the article read, "It would be comic if it were not deplorable to picture this sorry Egeria surrounded by men like Professor Sidgwick, Professor Lodge, Mr. F. H. Myers, Dr. Schiaparelli, and Professor Richet, solemnly receiving her pinches and kicks, her finger skiddings, her sleight of hand with various articles of furniture as phenomena calling for serious study." This caused Sidgwick to respond in a published letter to the British Medical Journal, 16 November 1895. According to Sidgwick SPR members had exposed the fraud of Palladino at the Cambridge sittings, Sidgwick wrote "Throughout this period we have continually combated and exposed the frauds of professional mediums, and have never yet published in our Proceedings, any report in favour of the performances of any of them." The response from the Journal questioned why the SPR wastes time investigating phenomena that are the "result of jugglery and imposture" and not urgently concerning the welfare of mankind. In 1898, Myers was invited to a series of séances in Paris with Charles Richet. In contrast to the previous séances in which he had observed fraud, he claimed to have observed convincing phenomena. Sidgwick reminded Myers of Palladino's trickery in the previous investigations as "overwhelming" but Myers did not change his position. That enraged Richard Hodgson, then editor of SPR publications to ban Myers from publishing anything on his recent sittings with Palladino in the SPR journal. Hodgson was convinced Palladino was a fraud and supported Sidgwick in the "attempt to put that vulgar cheat Eusapia beyond the pale." It was only in the 1908 sittings in Naples that the SPR reopened the Palladino file. He was one of the founders and first president of the Society for Psychical Research, and was a member of the Metaphysical Society. Prominently, he took in promoting the higher education of women. He helped to start the higher local examinations for women, and the lectures held at Cambridge in preparation for these. It was at his suggestion and with his help that Anne Clough opened a house of residence for students, which developed into Newnham College, Cambridge. When, in 1880, the North Hall was added, Sidgwick, who, in 1876, had married Eleanor Mildred Balfour (sister of A. J. Balfour), lived there for two years. After Clough's death in 1892, she became principal of the college, and she and her husband lived there for the rest of his life. During this whole period, Sidgwick took the deepest interest in the welfare of the college. In politics, he was a liberal, and became a Liberal Unionist (a party that later effectively merged with the Conservative party) in 1886. Early in 1900 he was forced by ill-health to resign his professorship, and died a few months later. Sidgwick was a famous teacher. He treated his pupils as fellow students. He was deeply interested in psychical phenomena, but his energies were primarily devoted to the study of religion and philosophy. Brought up in the Church of England, he drifted away from orthodox Christianity, and as early as 1862 he described himself as a theist, independent from established religion. For the rest of his life, although he regarded Christianity as "indispensable and irreplaceable – looking at it from a sociological point of view," he found himself unable to return to it as a religion. In political economy he was a utilitarian on the lines of John Stuart Mill and Jeremy Bentham. His work was characterised by its careful investigation of first principles, as in his distinction of positive and normative reasoning, and by critical analysis, not always constructive. His influence was such that for example Alfred Marshall, founder of the Cambridge School of economics, would describe him as his "spiritual mother and father." In philosophy, he devoted himself to ethics, and especially to the examination of the ultimate intuitive principles of conduct and commonsense morality, which he probes with great depth and subtlety in his major work, The Methods of Ethics (1874). He adopted a position that may be described as ethical hedonism, according to which the criterion of goodness in any given action is that it produces the greatest possible amount of personal pleasure. The hedonism, however, is not confined to the self (egoistic), but involves a due regard to the pleasure of others, and is, therefore, distinguished further as universalistic (a version of utilitarianism). As Sidgwick sees, it, one of the central issues of ethics is whether self-interest and duty always coincide. To a great extent they do, Sidgwick argues, but it cannot be proved that they never conflict, except by appeal to a divine system of punishments and rewards that Sidgwick believes is out of place in a work of philosophical ethics. The upshot is that there is a "dualism of practical reason." The Ethics of Conformity and Subscription. 1870. The Methods of Ethics. London, 1874, 7th edition 1907. Principles of Political Economy. London, 1883, 3rd edition 1901. Outlines of the History of Ethics for English Readers. 1886 5th edition 1902 (enlarged from his article ethics in the Encyclopædia Britannica). The Elements of Politics. London, 1891, 4th edition 1919. Economic science and economics, Palgrave's Dictionary of Political Economy, 1896, v. 1, reprinted in The New Palgrave: A Dictionary of Economics, 1987, v. 2, 58–59. Practical Ethics. London, 1898, 2nd edition 1909. Lectures on the Philosophy of Kant and other philosophical lectures and essays. 1905. ↑ Bryce, James (1903). "Henry Sidgwick". Studies in Contemporary Biography. New York: Macmillan. pp. 327–342. ↑ "Sidgwick, Henry (SGWK855H)". A Cambridge Alumni Database. University of Cambridge. ↑ Rawls, J. 1980. 'Kantian Constructivism in Moral Theory'. Journal of Philosophy 77 (1980). ↑ The Nation, 6 June 2005. "The Epistemology of the Closet." ↑ Christopher Nugent Lawrence Brooke, Damian Riehl Leader (1988). "1: Prologue". A History of the University of Cambridge: 1870–1990. Cambridge University Press. p. 1. ISBN 9780521343503. 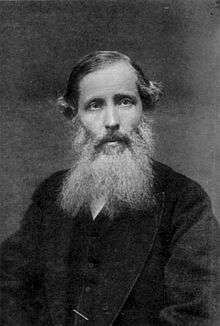 In 1869 Henry Sidgwick, who had become a devout agnostic, made protest against the survival of religious tests in Cambridge by resigning his Trinity fellowship. 1 2 The British Medical Journal. (9 November 1895). Exit Eusapia!. Volume. 2, No. 1819. p. 1182. 1 2 The British Medical Journal. (16 November 1895). Exit Eusapia. Volume 2, No. 1820. pp. 1263–1264. ↑ Phyllis Deane, "Sidgwick, Henry," The New Palgrave: A Dictionary of Economics, 1987, v. 4, pp. 328–29. Schultz, Bart. Henry Sidgwick: Eye of the Universe. An Intellectual Biography. Cambridge: Cambridge University Press, 2004. Schultz, Bart. "Henry Sidgwick". Stanford Encyclopedia of Philosophy. 5 October 2004. Blum, Deborah. Ghost Hunters. Arrow Books, 2007. Phillips, David. Sidgwickian Ethics. Oxford University Press, 2011. Schneewind, Jerome. Sidgwick's Ethics and Victorian Moral Philosophy. Clarendon Press, 1977. Henry Sidgwick. Comprehensive list of online writings by and about Sidgwick.